While the media has whipped themselves into hysteria over a random elderly California man threatening some Boston Globe reporters and calling them "the enemy of the people," elected Democrats are busy telling ICE agents that "when the worm turns you will not be safe." 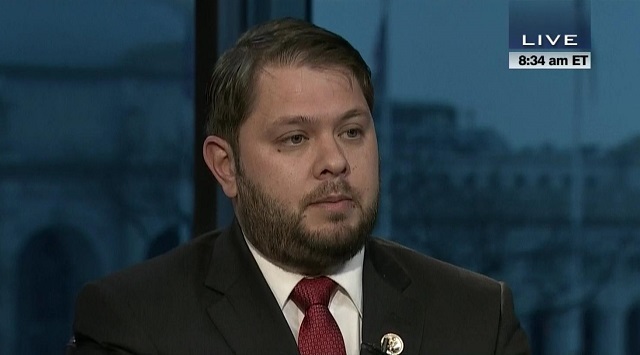 Gallego’s comments go beyond those of other Democrats, even those who've called for confronting Trump administration officials in public over immigration policies. Remember folks, Trump is a complete lunatic for telling Christian leaders behind closed doors on Monday that if the Democrats win in the midterms "they will overturn everything that we've done and they will do it quickly and violently." These Democrats are agents of peace!